Me: I dare you to name me one superhero movie of the past decade that hasn’t gotten this treatment! My friend: The LEGO Batman Movie. Me: Huh. I guess you’re right on that one. It’s time to address the big elephant in the room. One that has been plaguing the fandom for much too long. It is disgusting no one has ever addressed this issue. UNTIL TODAY! It saddens me that a person has to be me but I guess I stood up to the challenge. I am of course talking about….. Wait! There’s one dedicated to Messi?! Ah, yes. The Believer edits. So innocent, so harmonic. The internet has been plagued with this disease for far too long. 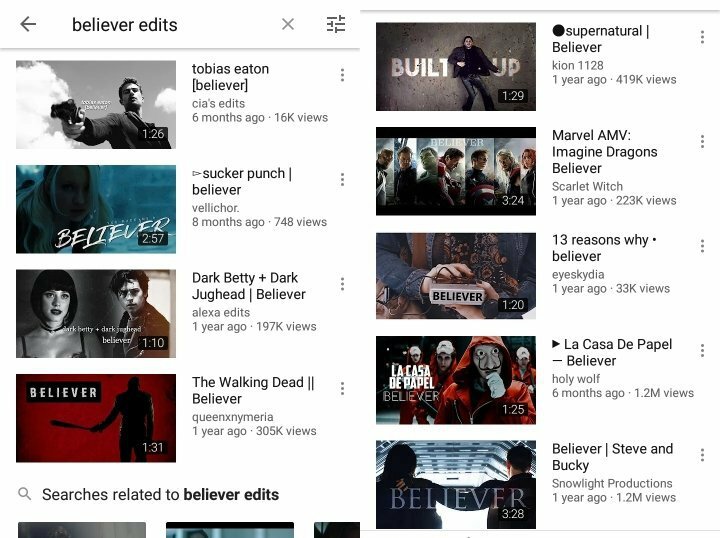 For those not in the know, a number of twats decided they will take random scenes from a movie/show/game/football games, add some hip filter onto it and play Believer by Imagine Dragons in the background. These videos usually get from 100K to sometimes even a whopping 1M views. There exists an entire playlist of Riverdale Believer edits!! Anything to do with fandom is doomed! If you think of it, it likely has a Believer edit somewhere in the web. The New Rule 34. Yup! I just checked! There is a Believer edit for Sonic. The New Rule 34 Confirmed! I’ve decided to spearhead into the mouth of the beast and destroy it once and for all. I bring you, Top 10 Worst Superhero Movie Believer Edits. What?!?! You just did the entire fight sequence with Bane fighting Batman and just put Believer audio over it. Unedited! You can’t do that! There should be a rule against those who are dumbfoundingly uncreative. The music doesn’t even match properly to give off the chemical reaction that gets you all excited when the music matches the image. Thankfully this thing hasn’t reached 1K yet. The person also disabled the comment section. Typical. I’ll gladly be the 2nd person who dislikes it. Wow! I think this might’ve finally been the one I got goosebumps on. Nope. This one isn’t even trying to hide it. They messed up the lead singer’s voice to avoid all purposes of copyright. What would annoy anyone are the comments that are calling this “EPIC”. If the title isn’t enough of an indicator as to who made this I’m sure the Snapchat filter of the vid will do its job. They managed to screw up something as emotionally investing as Yondu’s death and the entire thing feels like it’s always a second away from actually being in-sync with everything. Bottom of the barrel. Their intro also reminds me of the old ComicBookCast2 intro. Another reason to hate it. My eyes hurt from simply looking at it. It was obviously done to hide copyright, but you could’ve calmed down. It’s like watching a video in 240p even though I’m on 1080p and when you actually go down to 240p it’s like watching a video on an NES. The editor also forgot to turn off the dialogue from the movie itself. I mean I get you to want to hear some of it, like maybe the WAKANDA FOREVER, or something, it’s better than when the music plays and characters are mute while talking, but you don’t need that for your entire video. PAIN! This thing came out a month before the movie ever did. That’s how desperate they were for views and I say they succeeded with their 440K views (don’t worry, Doctor Strange has 2M and Riverdale has 3M). All these shots were from the trailer! All the cut choices weren’t even yours. You didn’t even do the effort yourself. Oh wow, you put Gamora’s mini-monologue without using the Believer music, but you still kept the sound effects from the trailer just further proving my point. The only thing worse than this is the comments praising it. That’s it. I can’t do it anymore. I refuse to review any more of these. It’s no use! There are only so many Believer edits a man can endure before losing all hope in humanity. It is time to act! I must fight fire with fire….and some water. I INTRODUCE TO YOU…..MY BELIEVER EDIT! 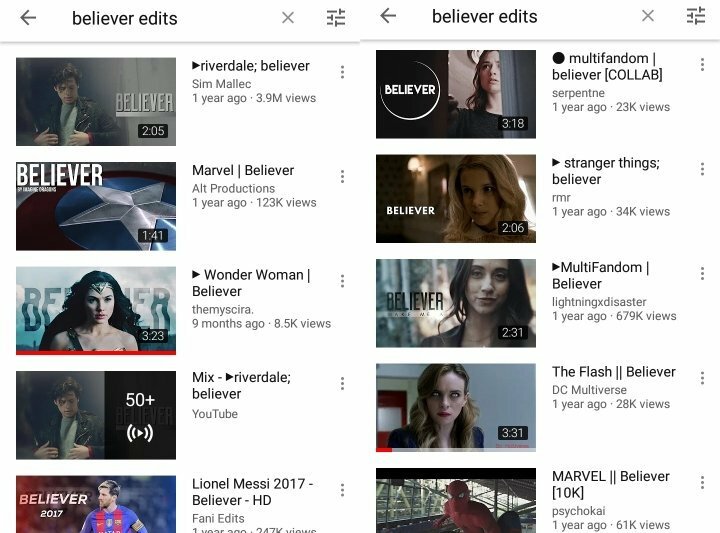 The Believer edit to end ALL Believer edits! Next Why Doesn’t Batman Just Kill the Joker?